The Corolla. A small car that's been part of our local car landscape since 1967. It's an Aussie favourite, and for the past four years the country's number one selling car. Not many cars can come close to making a claim like that - to have such a long and successful run. The Corolla is the car equivalent of Neighbours only it's been around more than two decades longer. The Corolla is so famous I haven't even mentioned it's a Toyota because I don't need to, you know what it is - it's achieved single-name status like Elvis, Madonna and Oprah. That doesn't happen accidentally. The Corolla has earned a reputation for being reliable, good value and well built. But much has changed in 50 years, and the small car segment is full of excellent offerings from the Mazda3 to the Hyundai i30. So, how does the latest incarnation of the Corolla shape up against the competition? 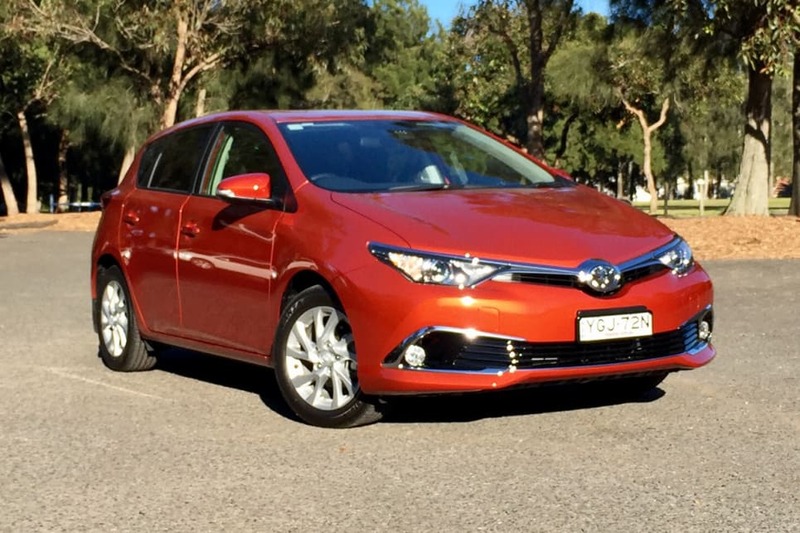 You'll find out in this review which covers hatch and sedan versions of the Corolla. It seems that peace in the Middle East is an easier objective than making a small affordable sedan look good, going by how few are on the road. The Mazda3 sedan is by far the best looking, the Corolla sedan is not. 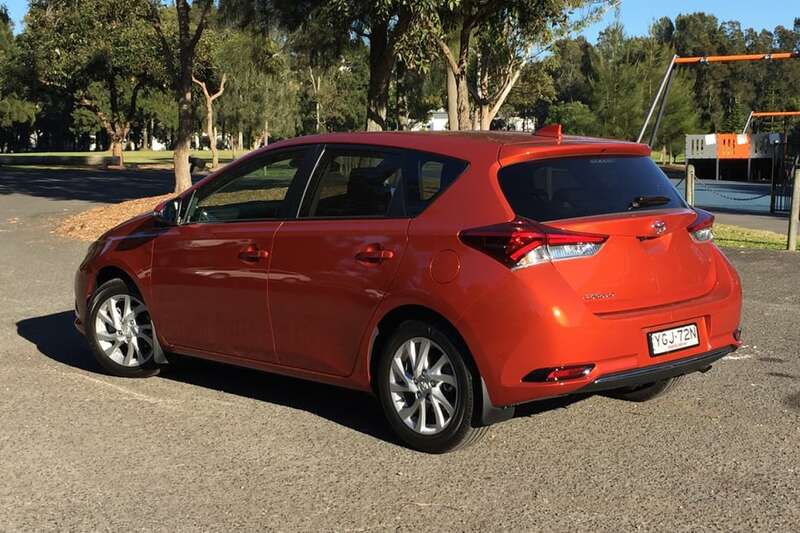 The hatch mind you is a looker, even if this model is getting on in age – it came out in 2012, and Toyota has kept things fresh over the years with makeovers on both sedan and hatch. The dimensions show just how different in size the hatch is compared with the sedan. The sedan is 4620mm from bumper to bumper, 1775mm wide and 1460mm tall, which in comparison to the hatch version makes it 290mm longer, 15mm wider but 15mm shorter in stature. The exterior may be different but the sedan's interior is almost identical to the hatch's, as you can see in the images. There's a swooping dashboard, and cleanly designed centre console, a clear instrument cluster and an overall premium and grown-up feel. The interior dimensions of the sedan show the front-rear couple distance (front passenger hip-point, to rear passenger hip-point) to be 960mm, while in the hatch it's 900mm. The 7.0-inch touchscreen which was added in the most recent update modernises the cabin and the use of dark, high-quality materials keeps things stylish. There's also the appearance of a good fit and finish in every variant. All hatches come standard with a roof-top rear spoiler, but SX and ZR get tough looking body kits with side skirts, front spoiler and a rear ‘diffuser'. Our ZR hatch test car came with the 'Glacier White' paint, which is a no-cost option, and I reckon looks best when combined with those super-dark tinted rear windows and black elements to the upper and lower grille. The design of the hatch is far more attractive than the sedan, but there are people who will go for the grown-up appeal of a sedan. There are seven other colours to choose from including 'Inferno' (burnt orange), 'Blue Gem', 'Citrus', 'Crystal Pearl', 'Silver Pearl' (okay, grey), 'Ink' (Black, of course), and 'Wildfire' which is type of red. No green. By the way, the only Toyota you can get in green, apart from the 'Electric Teal' C-HR (which doesn't count) is the Kluger. It's 'Rainforest Green'. Be a diva and demand Toyota paints your Corolla in it, and let me know how you go. Premium paint costs $450. Yes, the design of the hatch is far more attractive than the sedan, but there are people who will go for the grown-up appeal of a sedan. This is important. How will you use your Corolla? Will it mainly be you driving solo, or will you use it to ferry a family or friends around regularly? Are you the type who, like me, buys furniture and then tries to bring it home in the car, only to find it doesn't fit? First, legroom in the back of the sedan is much better than the hatch. 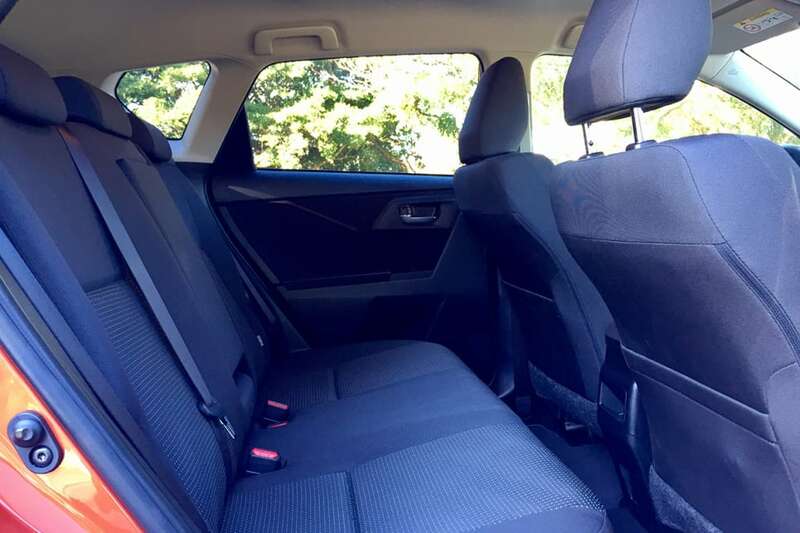 I'm 191cm tall and have a good five cm of space between my knees and the seatback when I'm sitting behind my driving position in the sedan, but my knees touch the seatback in the hatch. 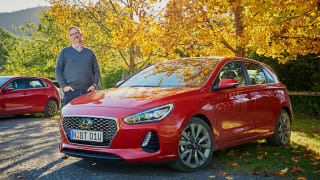 Then, just when you think the sedan is best for giants you'll find out rear headroom in the hatch is better than the sedan – my head skims the room in the sedan. 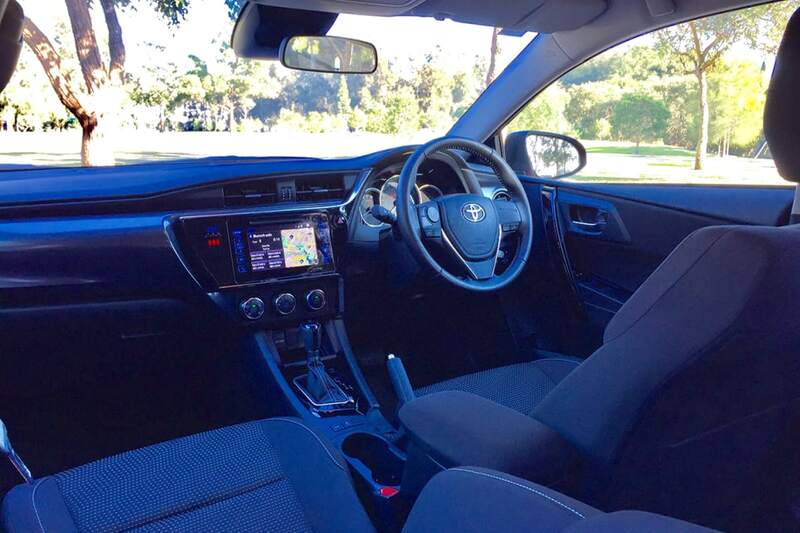 All Corollas are five seaters, but that middle back seat will be cramped for adults. Now the boot space. 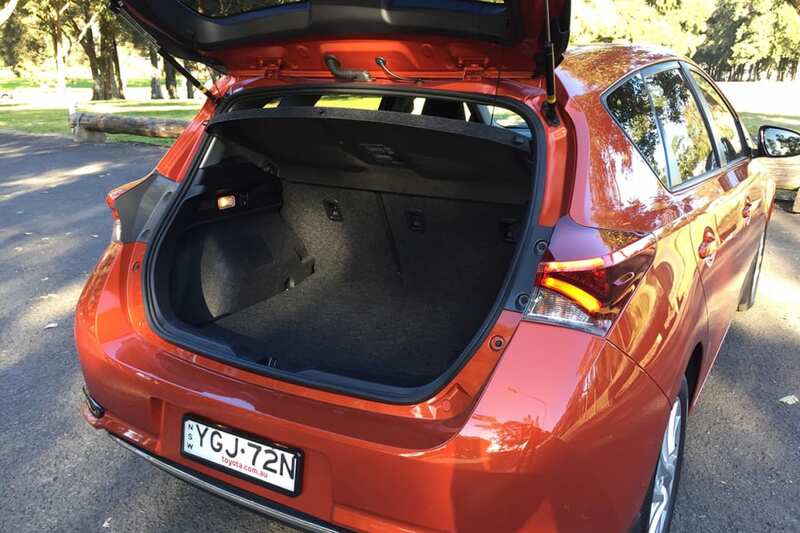 The sedan's luggage space is 120 litres bigger than the hatch's at 470 litres. That's bigger than the 445-litre boot size of the Astra sedan. A cargo cover (otherwise known as a barrier or liner) comes standard on all hatches. But there's another catch. The hatch has a bigger boot opening that the sedan, plus, when you fold the seats down it's better for carrying that Balinese coffee table you bought online (while drinking again at your computer). Cabin storage space isn't bad in the sedan and hatch. Both have two cupholders in the back row and two more up front and bottle holders in all doors. The centre console bin under the armrest isn't enormous (the handbrake eats into the space), but it is deep. Toyota's range of accessories for the Corolla isn't vast, there are no bull bars or nudge bars, but the roof rack range is impressive. There are kayak carriers, bike carriers, snow board carriers, and just regular roof rails. A towbar, towball and trailer wiring harness are all available through Toyota's accessories department. The Corolla has a braked towing capacity of 1300kg. How much does a Corolla cost? As a price guide you're looking at $20k-$30k depending on the grade. The Corolla also comes as sedan or hatchback which affects the price, too. The Ascent grade is the entry point into the Corolla range with the hatch listing for $20,190 (RRP) and the sedan for $21,240. Those are the prices of the manual gearbox cars, an automatic will need you to part with about $2000 more. Keep in mind that standard features of the sedan and hatch aren't identical, not just on the Ascent but all grades. Here, look: the Ascent hatch has a multimedia unit with 6.1-inch screen and the Ascent sedan has a 7.0-inch display. The hatch gets 16-inch steel wheels while the sedan has 15-inch steelies, both have power windows, halogen projector headlights (not HID or xenon), air-conditioning, cruise control, Bluetooth, a reversing camera and rear parking sensors. Be aware that the Ascent Sport is not a sport edition. It has the same engine and performance as the rest of the Corollas. There's a six-speaker (no subwoofer) stereo with radio (not DAB digital), CD player (no CD changer) and MP3 compatible. Both sedan and hatch versions of the Ascent allow you to option the new advanced safety technology which became available in early 2017. Only the sedan has the option of built-in sat nav. On the next rung up is the Ascent Sport which comes only in hatch form and lists at $21,210 for the manual and $23,250 for the auto. Standard features include 16-inch alloy wheels and a 7.0-inch touchscreen, plus the ability to option sat nav (as our car had). Like the Ascent, the Ascent Sport also has a reversing camera, rear parking sensors, a six-speaker stereo, Bluetooth connectivity and halogen headlights. Just be aware that the Ascent Sport is not a sport edition. It has the same engine and performance as the rest of the Corollas. Why is it called sport? Well, okay, there is a 'Sport Mode' button which Toyota says increases the throttle and CVT response, but it in reality the performance difference isn't noticeable. Above this is the SX grade. The manual SX sedan lists for $22,990 (the auto is $2250 more) and the hatch which only comes with an automatic transmission is $26,000. Both sedan and hatch pick up the same standard features as the Ascent Sport and add a sporty body kit, tinted rear windows and sat nav. All Corollas have keyless entry but the SX sedan gets proximity unlocking (smart key) and push button start, while the hatch doesn't. The hatch has 17-inch alloy wheels, and the sedan gets 16-inch alloys. At the top of the range is the ZR sedan and hatch. These premium package cars come with an automatic transmission only and the sedan lists for $31,920, and the hatch for $30,020. Both sedan and hatch ZRs have the same features as the SX including the sports body kit and also pick up 'Bi-LED' headlights, climate control (dual-zone in the hatch), shifting paddles, proximity unlocking, power mirrors, and leather seats (heated ones up front). No heated steering wheel though. The hatch comes standard with 17-inch alloy wheels, while the sedan has 16-inch rims. Stepping up to the ZR doesn't bring a better media system – it's the same 7.0-inch screen that's in the SX, and no there's no DVD player. The climate control works well – I drove the car in the icy depths of winter and can vouch that it'll thaw you out fast, but the switches for it, while posh, aren't as easy to use as the dials for the AC in the lower grades. The Corolla Hybrid is almost a separate model rather than a trim level. It's $27,530 and comes standard with great features such as Bi-LED headlights and running lights, 7.0-inch touchscreen, sat nav (GPS navigation system), proximity unlocking and 16-inch wheels. Is the Corolla good value? Yes, but it's up against good-value rivals, too. Dealers offer driveaway prices regularly. When I had a quick check at the time this was published you could get the Corolla Ascent Sport hatch with an auto for $23,990 driveaway. Get them to throw in floor mats, too – they don't come standard on any of the Corollas. It's disappointing that Apple CarPlay (for your iPhone) and Android Auto (for Samsung and the rest) is not offered on any Corolla, either. These are great apps for mirroring your phone's functions onto the car's screen. Another fail is the lack of a volume control knob. You have to use the touchscreen or the buttons on the steering wheel. Sounds minor, but it became a major frustration point for me. 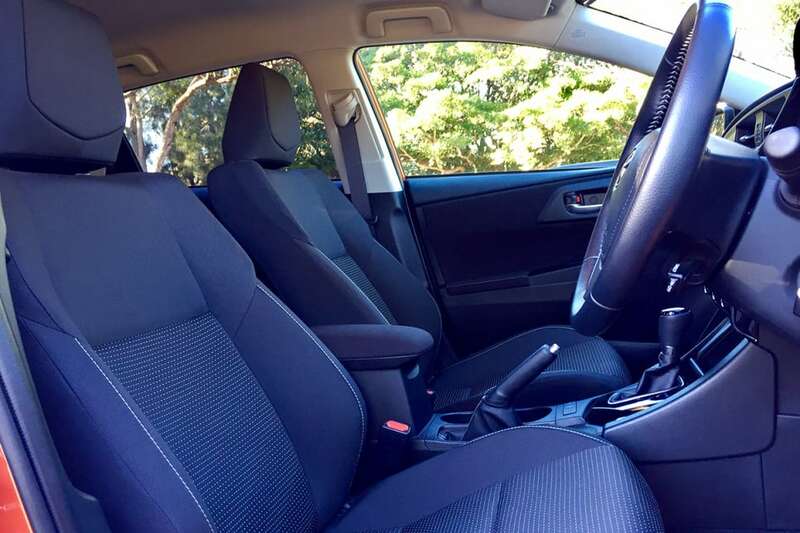 Is the Corolla good value? Yes, but it's up against good-value rivals, too, such as the Mazda3, Hyundai i30 and Elantra, and the Astra hatch and sedan. The Corolla still manages to mostly undercut the competition for price, depending on the variant. 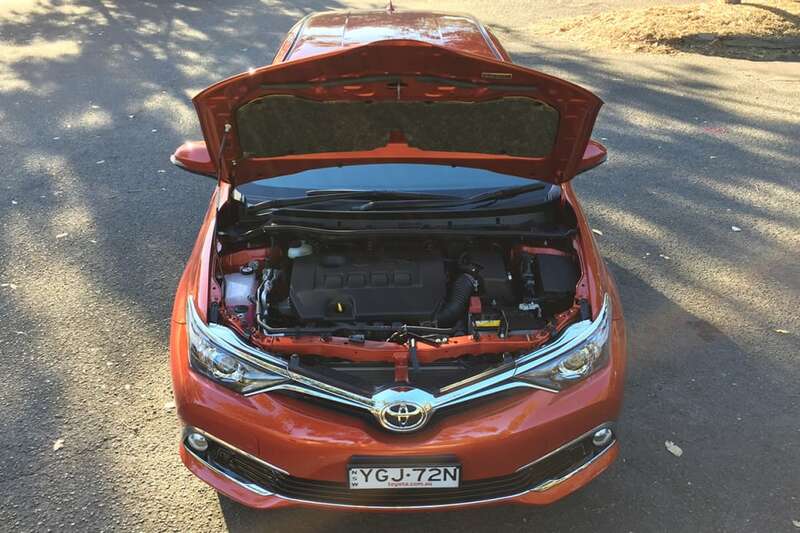 The Toyota Corolla engine specs are probably the simplest you'll find in any small car range – one engine for all Corollas (apart from the hybrid). The 1.8-litre four-cylinder petrol engine has the same output across the range – 103kW/173Nm, which perfectly suits the docile nature of this car. Those are respectable horsepower and torque stats and generated without a turbo, just a decent engine size. The current gen Corolla's engine uses a timing chain, not a timing belt. Depending on the variant you have two choices of transmission, a six-speed manual and a seven-speed CVT. All Corollas are front-wheel drive, there isn't a rear-wheel drive (RWD), all-wheel drive or four-wheel drive (4WD) version. Nope, if you're looking for a 4x4 then the RAV4 could be for you or take a look at the AWD C-HR SUV – it's a beauty, in an ugly way. You'll notice there are no diesel specs, either, because there is no diesel engine in the range, or an LPG gas one – but there is a hybrid, it's not a plug-in (regular driving, as well as braking or slowing down, automatically recharges the hybrid battery) or a completely electric vehicle (EV), but it's excellent – you can read my review of it here. The Corolla Hybrid also has a 1.8-litre petrol engine, but it has a lower output of 73kW/142Nm, but combine that with a 60kW/207Nm electric motor and you have more than enough grunt. Depending on the variant you have two choices of transmission, a six-speed manual and a seven-speed CVT (see our price section in this review for which has what). 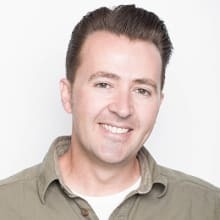 If it came down to manual vs automatic for me, I'd choose the manual in a blink of an eye – you'll get more out of the engine. Kerb weights range from 1260kg-1295kg for the sedan and 1255kg-1310kg for the hatch. As for automatic transmission, gearbox, suspension, clutch, oil consumption or engine other problems – I didn't experience anything which hinted at issues, but keep an eye on our Used Review section for any possible common long-term faults or complaints with the Corolla's mechanicals. The kerb weight ranges from 1260kg-1295kg for the sedan and 1255kg-1310kg for the hatch. While the GVM ranges from 1705kg-1750kg for the sedan. As for a 0-100km/h time... can I remind you that you're reading about a Corolla? If it's speed you need then maybe check out the Lexus hub here for something with better performance. Toyota says that under combined driving conditions the 1.8-litre engine with the CVT auto uses 6.1L/100km in the hatch and a mileage of 6.7L/100km in the sedan. The sedan's fuel tank size is five litres bigger than the hatch's at 55 litres, but taking into account those fuel economy figures a full tank will get you about 820km in both the sedan and hatch. We found that fuel consumption figure difficult to achieve in the ZR hatch (9.3L/100km), the Ascent sedan (9.1L/100km) and the Ascent Sport hatch (11.5L/100km) we drove – but our test routes were mainly urban with the occasional trip to the bush. The six-speed manual isn't as fuel efficient as the CVT. Toyota says it will need 6.7L/100km in the hatch and 6.6L/100km in the sedan when faced with combined driving conditions. The engine in the Corolla is happy to be feed drink the cheap 91 RON petrol. All Corollas also have an 'eco mode' which helps maintain the most efficient use of fuel possible. The Hybrid is the fuel-saving star with an official 4.1L/100km. When I tested it I scored a 5.1L/100km average courtesy of the trip computer after 500-odd kays of country backroads, highways and urban commutes. No messing about here, the hatch is more fun and easier to drive than the sedan. The hatch is a lot shorter, which aids the dynamics and getting in and out of tight car spaces. The sedan is no stretch-limo, though, and it's also easy to pilot. How does the Corolla compare to its rivals? I preferred driving the Mazda3 and i30, and the Hyundai Elantra which I found sportier and more engaging. The Astra and Corolla are equal, although the Astra sedan's ride is excellent. The Corolla sedan and hatch have MacPherson struts up front and a torsion beam in the rear, which can make the ride hard over bumps. The mood killer for the Corolla's driving personality is the CVT auto. It's fairly unresponsive and acceleration is unremarkable. If you can drive a manual then go for that, save some money at the dealership, plus they're fuel efficient. Steering on all variants is electric rack and pinion power steering, but it still feels heavier than expected. The hybrid was surprisingly great to drive, with good off-the-line oomph. Pity the seats were hard and it beeped at me non-stop when reversing, but its LED headlights were great for country roads. The ZR Hatch has low profile and wider tyres that might improve handling but hardens the ride, while the ride in the Ascent Sport hatch was comfortable. Steering on all variants is electric rack and pinion power steering, but it still feels heavier than I expected it to be. There's also no hill holder function either, which means you'll have to work that handbrake on steep hill starts. The sedan and hatch have the same turning circle of 10.8m (5.4 radius), not bad for when you have to do an unscheduled U-bolt. Still, all the Corollas we tested had quite cabins with little road noise filtering in. The Corolla hatch and sedan have the maximum five-star ANCAP rating which means it has to have ABS anti-lock brakes, stability and traction control (ESP and VSC), but most cars these days also have that top score. The trick to separating the safe from safer is looking at what advanced safety equipment is fitted, and in the Corolla's case the 2017 update made AEB, blind spot monitor, lane departure alert and auto high beams available for the first time. Parking assistance has yet to make it into Corolla Land, but you can count on it coming eventually. This advanced safety tech is standard on the top-of-the-range ZR, but you'll have to option it on the other grades, and the price can vary. You'll pay $1500 for the 'Safety Pack' on the Ascent sedan and $750 on the SX sedan, while it's $750 across all hatch variants. There really is no more worthwhile option than one that can save your life, so at the dealership, forget the paint protection and get the passenger protection. 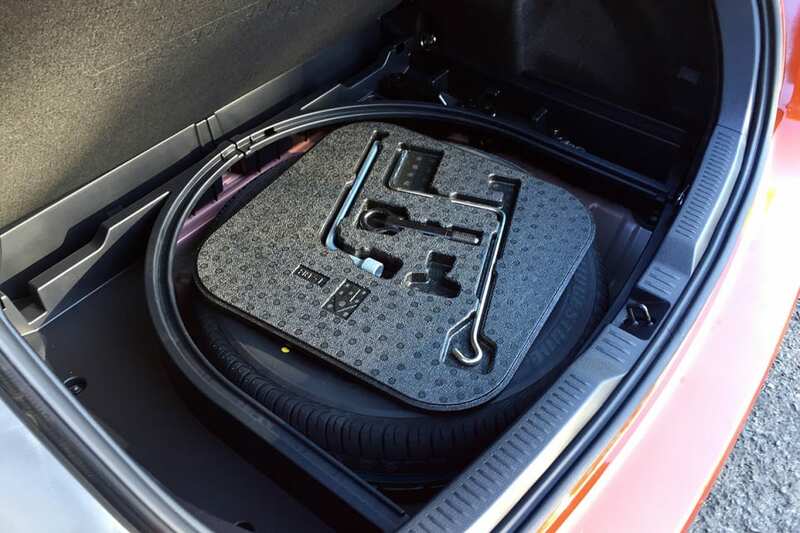 There are two ISOFIX mounts and three top tether points across the back row for child seats, and under the boot floor you'll find a full-sized spare wheel for all sedans, the Ascent hatch and the Ascent Sport hatch, but for the SX and ZR hatches it's a space saver spare. Yes they have larger 17-inch wheels and there's probably not enough room for a full-sized spare, but that's really not good enough. That would be a deal breaker for me. The sedan and hatch both have seven airbags, including curtain airbags. The Corolla hatch is built in Japan, but the sedan is made in Thailand. The Corolla hatch and sedan are covered by a three year/100,000km warranty. Servicing is recommended every six months or 10,000km and is capped at $140 per visit up to 36 months or 60,000km. The six-monthly maintenance is frustrating, but that capped price servicing fee is great. If you have a hybrid the battery is warranted for eight years or 160,000km and this is made up of a three year new vehicle warranty and a five year battery warranty. Toyota also offers an extended warranty, with one, two and three year plans capped at 100,000km or 150,000km, and the cover is transferable when you sell the car. The Corolla's resale value is good. According to Glass's Guide if you bought a $23,250 Ascent Sport hatch eight months ago it would retail for $21,200. Check out our Corolla pricing guide here, too. Nobody could fault you for buying a Toyota Corolla – it is still worthy of being an Aussie favourite. Sure the sedan and hatch aren't as pretty or engaging to drive as the Mazda3, but the car's reputation for reliability and durability, its good value-for-money, its easy to drive nature, and the advanced driving equipment make it a sensible and smart purchase. The sweet spot in the Corolla range is the Ascent Sport hatch with its 7.0-inch screen and the ability to option sat nav and the advanced safety technology. That said, a special mention has to go to the Hybrid - the petrol electric drivetrain suits the Corolla character well. There are those who like hatchbacks, and those who prefer sedans. Whichever way you lean, Holden hopes it has something to please you with hatch and sedan versions of its Astra small car. 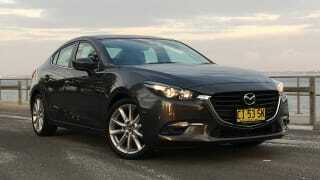 For over a decade, the Mazda3 has been part of a three-way battle for supremacy in the Australian small car market. It's testament to the 3's ever-growing reputation that it continues to hold its own. Hyundai isn't mucking around with its third-generation i30. At all. The small hatch was the third most popular car with Aussies in 2016, and the company wants to keep the faith with the new car.